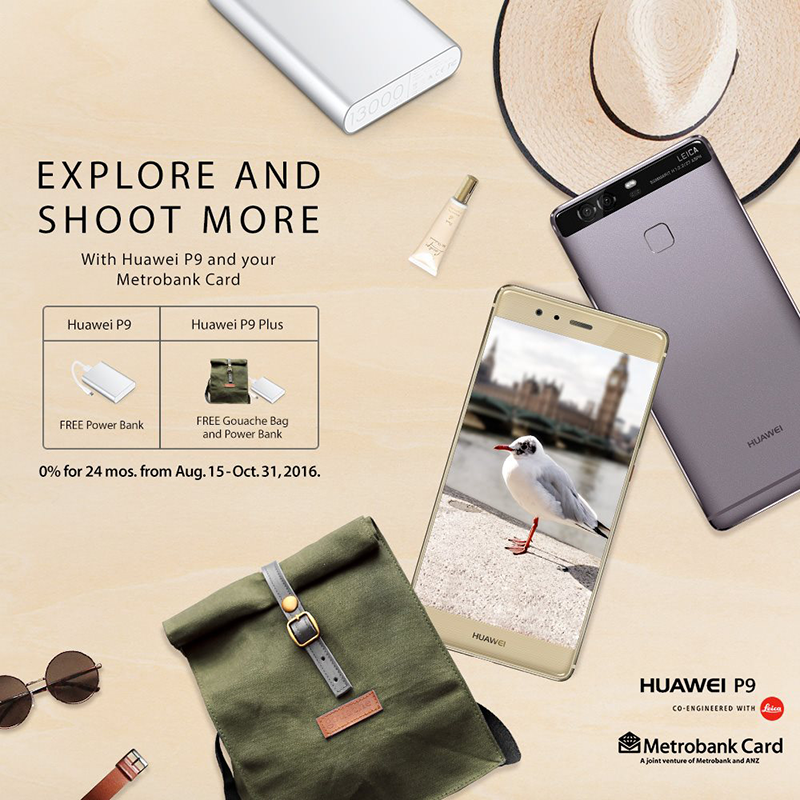 Huawei P9 And P9 Plus Now Available At Metrobank With Freebies, Price Starts At 999 Per Month! Home / huawei / mobile / news / Huawei P9 And P9 Plus Now Available At Metrobank With Freebies, Price Starts At 999 Per Month! Huawei Philippines has announced that you can now purchase the Leica co-engineered P9 or P9 Plus at Metrobank. With the use of your Metrobank card, the Huawei P9 will be available for just 999 Pesos per month and the Huawei P9 Plus for 1,249 Pesos per month. Apart from that, Huawei will also include exclusive gifts such as a FREE Powerbank and a handcrafted Gouache Bag.